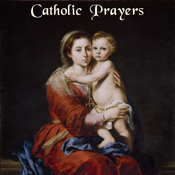 As Catholics, we are privileged to have a vast treasury of prayers and devotions to aid us as we adore, give-thanks, offer reparation and petition God. We have prayers to begin the day and end the day. All of this is in addition to the central work of the Church - the Holy Sacrifice of The Mass. 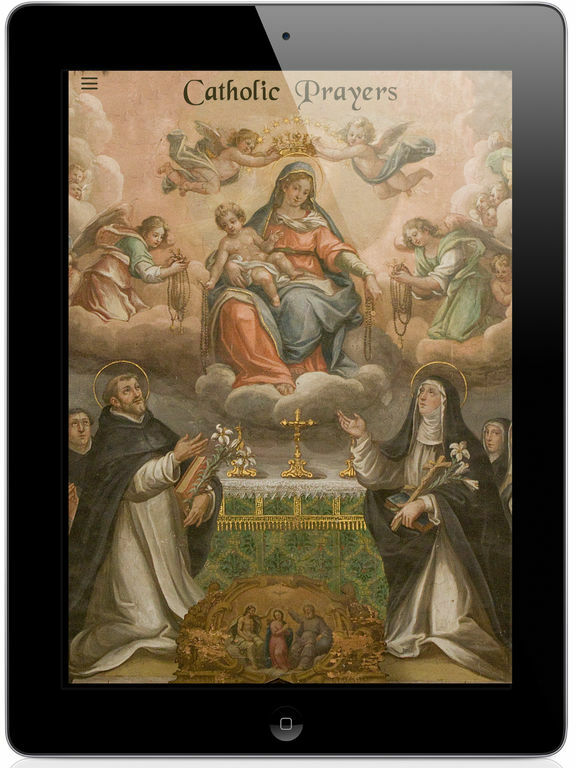 This App is a collection of beautiful and inspirational Catholic prayers, and devotions gathered from old Missals, prayer cards, personal note cards etc...we hope you will find to be an essential tool in as you "work out your salvation"
Most important resource is the information about INDULGENCES; what they are, how to gain them and more. 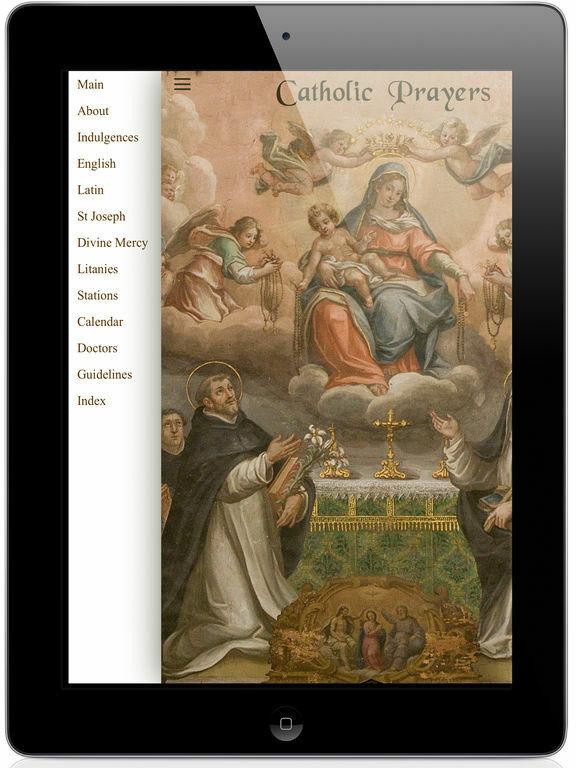 a complete section on INDULGENCES, a Feast Day Alerts and Calendar (for the Ordinary) and a complete index of all prayers contained within this the App PLUS information on all 35 Doctors of the Church listed by the year they were proclaimed a Doctor! 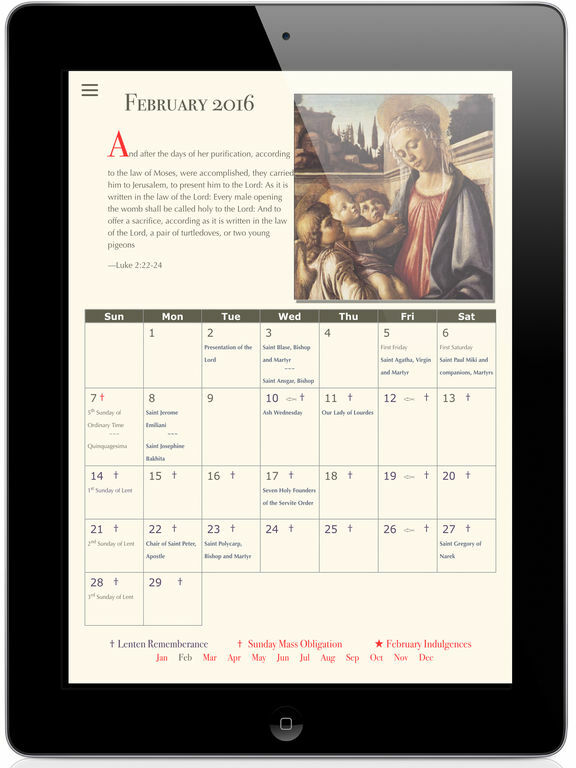 Novus Ordo Mass responses in both English and Latin, Marian novena prayers, and many many more. 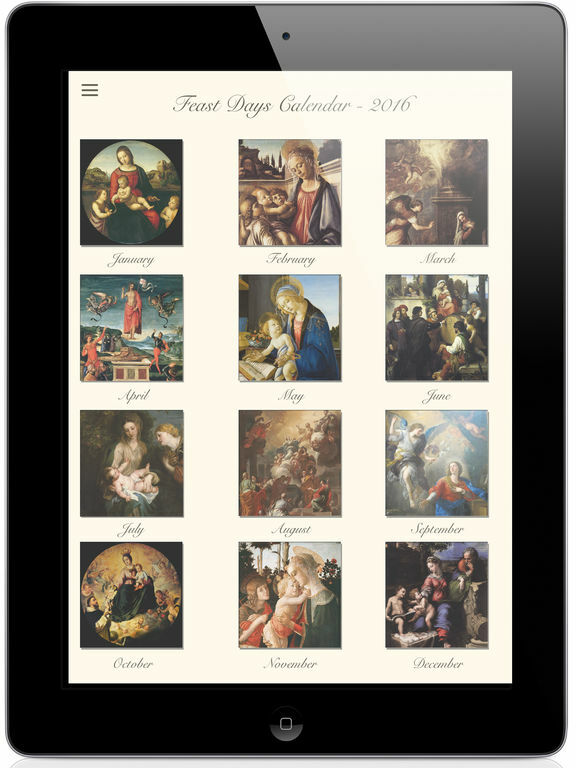 Please use and enjoy this App, and please pray for our work!